Revelations of a R500,000 donation towards Cyril Ramaphosa’s expenses for his campaign for the ANC presidency in 2017 have generated a minor public outcry. The electoral contest held at Nasrec in Johannesburg was not just about money. Ramaphosa’s team emphasised the candidate’s trade union and business pedigrees, and consistently advanced the myth that a deputy president always goes on to become ANC president. Ramaphosa’s adversary, Nkosazana Dlamini-Zuma, traded on her experience in government, and on the seniority she had acquired as chair of the AU Commission. The ANC’s potential vulnerability in the 2019 national and provincial elections was another key campaign issue, and so too were various policy differences about the character of radical economic transformation. Money was nevertheless central to the campaigns. There were many decent people involved in Ramaphosa’s team and they tried to draw clear lines about ethical campaigning. Insiders have said there was meant to be no direct vote- buying by their camp, and no provision of personal benefits for activists. Campaign fixer Bejani Chauke, who was responsible for much of the day-to-day organisation, is a wily politician but reputedly not a corrupt one. The “political committee” that met on the sidelines of the ANC’s regular national executive committee meetings, to co-ordinate and drive the campaign, was co-chaired by ANC stalwart Joe Phaahla and, perhaps less reassuringly, Gauteng chair Paul Mashatile. Other members of this committee included the ANC’s economic transformation head, Enoch Godongwana, redoubtable former finance ministers Pravin Gordhan and Mcebisi Jonas, and other widely respected government leaders including Angie Motshekga and Aaron Motsoaledi. The political committee was insulated from fundraising and financial management issues. Chauke’s claim that Ramaphosa was not aware of the origins of particular donations is therefore plausible. Ramaphosa also reportedly instructed his fundraisers not to negotiate with donors, and he insisted that he would not do so himself: there were to be “no deals”. To the chagrin of some businesspeople, donors were merely promised “good governance” in the event of a Ramaphosa victory, on the basis of a very vague 10-point leadership plan. Chauke has said there were “more than 200 donors” to the campaign’s central account. No doubt many of them were businesspeople seeking to curry favour. But others were wealthy citizens, often ANC-aligned, who saw the conference as a last chance to save the liberation movement. Some were patriots fearful of an effective continuation of Zuma-era looting and institutional destruction. Controversial African Global Operations’ CEO Gavin Watson, source of the controversial R500,000 donation, probably fell into all three categories. 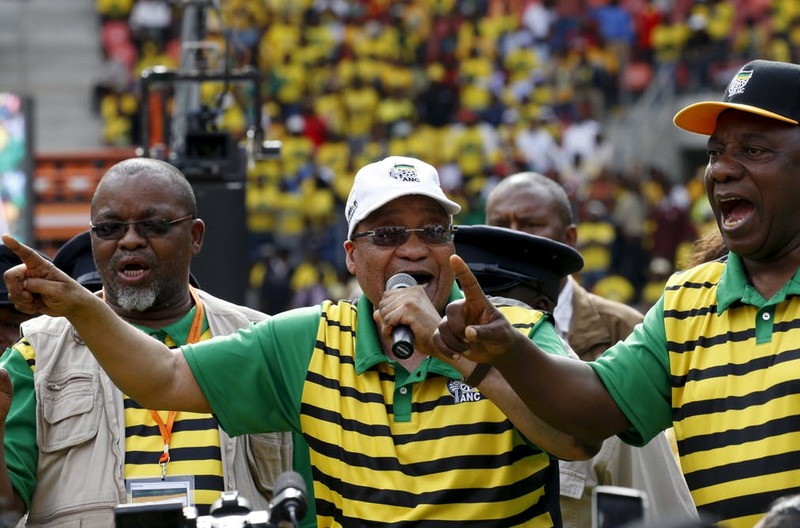 Prominent ANC-linked businesspeople and financiers were seen at various campaign events. One change from previous internal contests, however, was a consequence of a tightening of other countries’ party funding regulations: big businesses that were listed overseas simply did not donate at all. The administration of the Ramaphosa faction’s campaign funds appears to have been relatively tight when it came to monies managed at the centre. The great bulk of expenditure was on routine campaign activities. Each faction had to find many tens of millions of rand to pay for membership renewals in branches deemed to be “theirs”. Other major expenses included accommodation, the hire of venues, and the aircraft, cars and buses needed to transport politicians and organisers around the country. Both sides had extensive communications costs, including social media and marketing expenditures. Catering, branded hats and shirts, and campaign posters were deemed necessities. During the conference itself, both factions hired buses to transport their delegates to and from the venues. They also put supporters up in hotels where they could be isolated from the inducements — or arguments — that might be offered by their opponents. Despite all these efforts to run a reasonably clean race, money pathologies inevitably infected both campaigns. One real problem was the sheer sums involved. Insiders claim the Ramaphosa team spent as much as R500m on its campaign. The Dlamini-Zuma faction almost certainly spent far more. 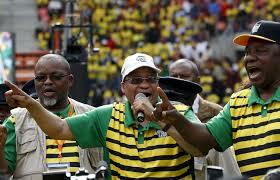 This was undoubtedly the ANC’s first billion-rand election. The resulting need to fuel ever-hungry campaign machines was probably more of a problem for Dlamini-Zuma than for Ramaphosa. The unpalatability of her “radical” economic policy proposals, and a fear that she was associated too closely with the Zuma era, deterred legitimate businesspeople from donating to her cause. Rumours of suitcases stuffed with banknotes, meetings with members of the criminal underworld and a last-minute payment of R20m to secure one particular top six position, all swirled around the Dlamini-Zuma campaign. Yet Ramaphosa’s camp also included controversial figures, such as Philly Mapulane, a politician from the North West universally known as “Mr Cash”. Despite the claims of his admirers, Mapulane bears little resemblance to Johnny Cash, the legendary US crooner. His nickname can instead be traced to his days as mayor of Madibeng municipality, where he was reputed to keep bundles of banknotes in the drawers of his desk. Only half of the Ramaphosa faction’s overall funds passed through the campaign’s central trust fund. The rest was raised and spent in provinces where controls were lax or nonexistent. Provincial chairs in the Eastern Cape and Limpopo who backed the Ramaphosa campaign had long extracted resources from provincial state coffers, ploughing them back to build up their personal power bases. Where the Ramaphosa faction had only a minority presence, local campaigners unleashed no-holds-barred campaigns to extract a share of final delegate counts. Vote-buying or the bribing of party auditors were certainly feasible. Millions of rand handed over to cover legitimate party membership renewals may have been used instead to summon up “ghost members” who could be deployed to boost delegate numbers. The ANC continues to face a crisis concerning the relationship between money and politics. The party funding bill that awaits Ramaphosa’s signature will do little or nothing to end this state of affairs. Indeed, greater regulation of formal elections increases the incentives for unscrupulous donors to focus on poorly regulated and sprawling internal contests. Donors wanting to back a party faction can use a variety of conduits or proxies to channel resources. Trusts whose beneficiaries may be interest groups, NGOs, political foundations or think-tanks can serve as fronts to circumscribe funding regulations. It would be impractical — and disastrous for democracy — for civil society organisations and private associations as a whole to be placed under regulatory control. The ANC cannot hide behind a largely ineffectual new law forever. It needs to reshape its own internal electoral processes to make them less vulnerable to the influence of money. • Butler teaches public policy at the University of Cape Town. This article is drawn from a new edition of his biography of Ramaphosa, to be published by Jacana in 2019.